Alison sets the strategic direction for Davis & Company and leads the development of new products and services. Since founding the company in 1984, she has provided senior counsel to clients such as American Water, BD and International Flavors & Fragrances. 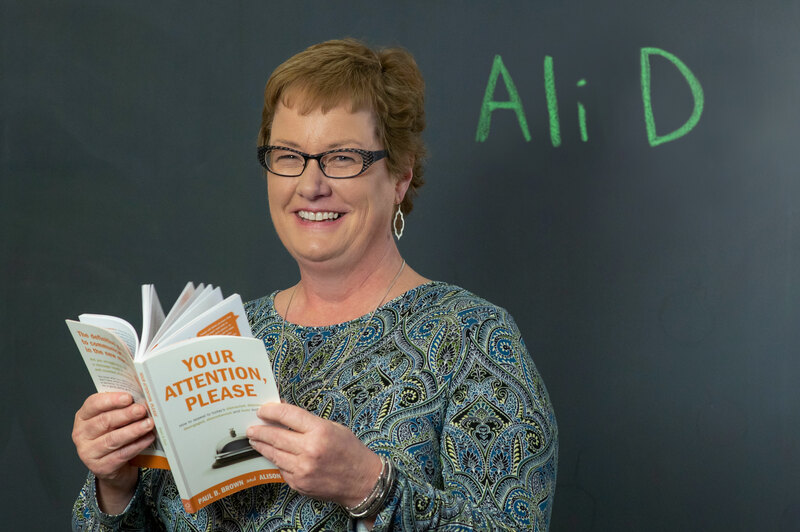 Alison has written or edited these groundbreaking books: 49 ways to improve employee communications, The Definitive Guide to HR Communication and Your Attention, Please. An online columnist for Inc.com, Alison frequently writes articles for leading business and trade publications. A sought-after speaker on communication issues, Alison has led sessions for such organizations as Public Relations Society of America, The Conference Board, Society of Human Resource Management and International Association of Business Communicators. Alison holds a bachelor’s degree from Douglass College, Rutgers University. This is like asking which child is my favorite; each one is, of course. Overall, I get the most satisfaction when our team gets a chance to be innovative—to try something completely new. I’m inspired by working with smart, creative people. So, I love collaborating with colleagues and clients—by working together, we come up with much better solutions than can ever be achieved than by going it alone. At a bakery. I loved waking up early to sell donuts. The most intense projects always involve big change: mergers, acquisitions, organizational restructuring, systems changes. The margin of error is small and the effect on people is significant. I love low-tech tools that work more effectively than ever, given all the digital noise in our lives. My two favorite: bulletin boards and posters. Step away from the computer and take out a piece of blank paper. Then start writing, drawing or even doodling. The tactile experience of hand, pen and paper frees the mind. In a wonderful town with tree-lined streets and lots of open land all around. What may seem strange to people from other parts of the country (and the world) is that this town was in New Jersey. Logistics. I worry much more about how to get to the conference than I do about giving the keynote speech. Sorry, I can’t tell you. Then you’d know for sure how old I am. Chocolate. Or chocolate chip. Or mint chocolate chip. Or chocolate ripple. Get the theme? Otter Tail County, Minnesota. With more than 1,000 lakes, this beautiful area gives you lots of places to swim, fish or just enjoy a beautiful sunset. For 50 more wishes, of course.